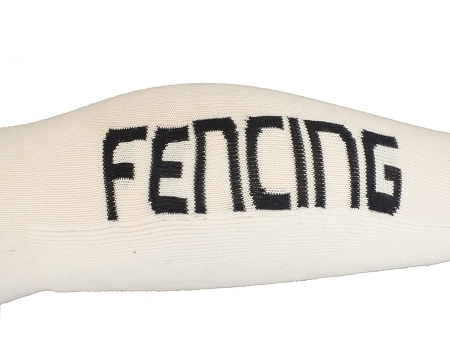 Fencing socks are required for the sport. These socks are specially designed for the fencing sport and they are definitely the most comfortable coolmax fencing socks ever made! Features selected 4 channel Coolmax fiber immediately wicks and absorbs and dries 5 times faster than regular cotton socks. Fully reinforced cushion sole absorbs impact and shock. Special nylon fibers enhance durability by 40%. You have to try them to believe in them! Extra long legs or extra big foot? 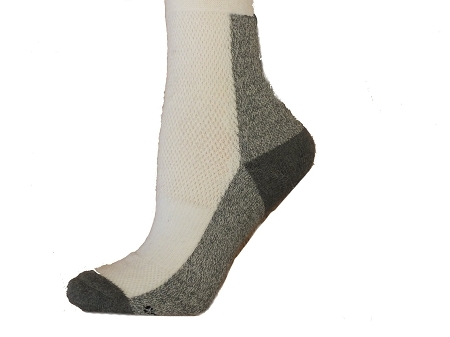 No problem, these socks are so flexible that its largest size could fit size 16 feet! With fully extended, they are also the longest socks currently availabe in the market! Size Y=shoe size up to 4.5. Size s=shoes size 5-8. Size L = 8.5-11; Size XL=11.5 and above. Feature: Features selected 4 channel Coolmax fiber immediately wicks and and absorbs and dries 5 times faster than regular cotton socks. Feature: Fully reinforced cushion sole absorbs impact and shock. Feature: Special nylon fibers enhance durability by 40%. 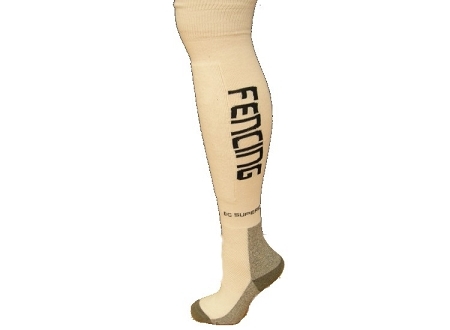 Feature: Double thinkness in the fore legs to protect lower leg while maintains breathability. Feature 5 High performance spandex prevents socks from falling down. Fully reinforced cushion sole absorbs impact and shock. Special nylon fibers enhance durability by 40%.